我的第一台PDA 賽意昂 618C - Symbian 軟硬體討論區 - PALMisLIFE 討論區 - Powered by Discuz! 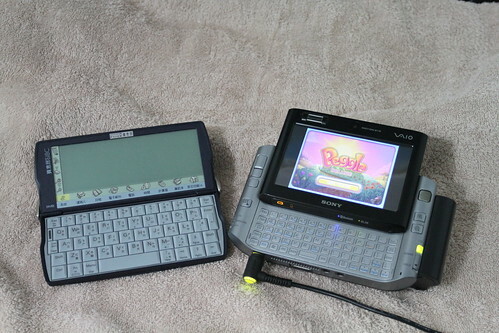 SONICblue produced a rebadged version of the Psion Revo Plus called the Diamond Mako which they distributed in the United States and in Canada. Along with Enfour, Psion produced two versions of the Revo for the Chinese market called the 618C (Traditional Chinese) and 618S (Simplified Chinese). 今日, Enfour之最新產品"UniFEP TC"正式上市, 一個適用於Symbian (ER5) 平台, 使用Unicode內碼之中文顯示及輸入系統正式發售. UniFEP 流動器材之多語言輸入及輸出軟件系列新成員UniFEP TC, 此新產品特別為繁體中文用戶而設 (如 香港及台灣等地). UniFEP TC 令用戶可享用中文電郵, 中文網頁及紅外線交換中文資訊(Beam Contact)等功能. 內置中文輸入如下: 拼音 (簡體及繁體), 倉頡, 行列, 大易, 五筆, 注音及簡易. GMT+8, 2019-4-20 16:57 , Processed in 0.084975 second(s), 31 queries , Gzip On.